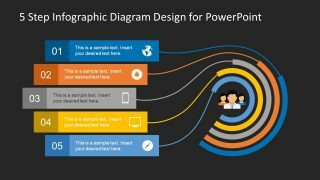 The 5 Step Infographic Design Diagram for PowerPoint has an eye-catching data visualization slides. It is a combination of labels, infographics, placeholders and shapes to present business concepts. 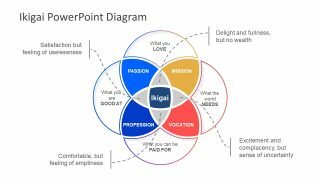 Also, the PowerPoint is an incredible presentation for every industry. For example, use these circular bar chart style slides to explain school level ecosystem. Whereas, the professionals in other industries can present key topics relevant to business, sales, marketing or product development. Similarly, the design of infographic 5 step diagram can demonstrate product lifecycle creatively. 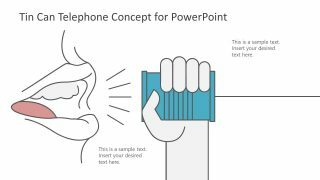 The two slide PowerPoint of infographics contain clipart illustrations of male and female users inside the curve bar shapes. Despite that the template does not provide the complete circular diagram, it displays the cyclic process flow. 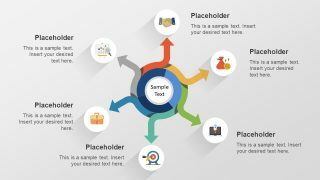 The colorful template of 5 Step Infographic Design Diagram for PowerPoint provides the option of several themes and layouts. 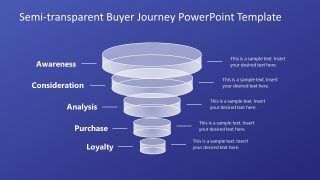 The editable PowerPoint infographic diagram enables users to make modifications to very precise level. For example, change the colors of shapes, outline, backgrounds, clipart icons, text. Also, change the hair, skin color, shirt and tie color in the clipart illustration of team. Similarly, resize, drag drop or duplicate an object using quick and easy mouse clicks. This visual graphic presentation of information and data intents to explain complex ideas and models. Also, the visualization of steps and segments enhance the viewer’s ability to understand patterns and trends of the concept. 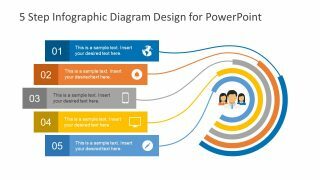 The infographic PowerPoint template of innovative 5 step diagram design has two distinct background versions of slides. These white and gray backgrounds assist the users to choose darker or light version for their main presentation. However, these background colors are editable in design menu’s format background option. Here, this feature provides variety of color pallets, patterns, gradient and option to upload an image. Moreover, the text placeholders available in the template can work well to discuss 5 bullet points or key note.